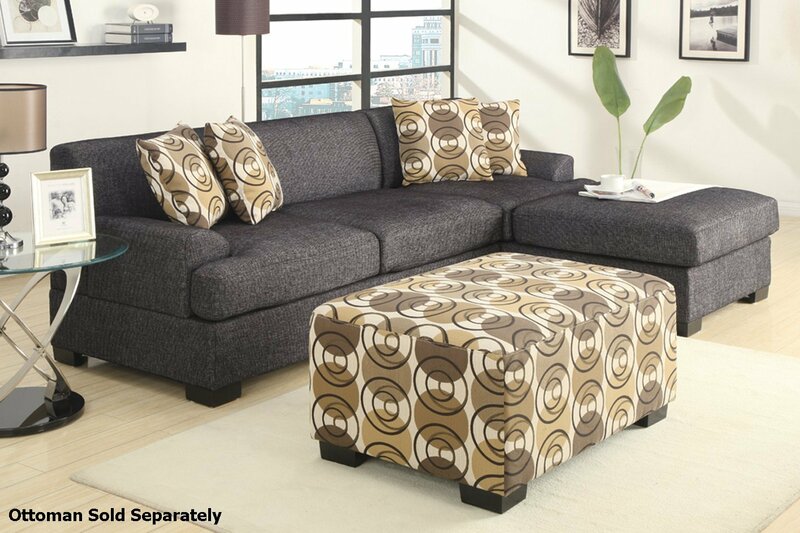 Go bold and beyond with this striking 3-piece versatile sectional in a textured linen. Merging edgy and sophisticated design featuring a loveseat and reversible chaise. Alternate each piece to create a single-unit sectional or separate each piece to create a magnificent space. This collection also features matching pillows.